Little and Sleepy is the story two friends with a great set of skills between them and a passion for bringing new ideas to life. Kat Merewether is a New Zealand illustrator and author, currently achieving massive success with her own range of books about a little kiwi called Kuwi. Anneliese works with NZ artists developing ranges of products for the NZ gift market through her company Tikitibu Anneliese and Kat got together and brought the first character in the Little + Sleepy range to life. 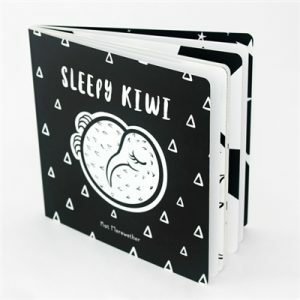 Sleepy Kiwi is now sold in hundreds of shops around New Zealand and very soon they will be adding many more characters to the range.